There are a lot of ways on how you can improve your landscape's beauty. You can try adding water features, such as ponds, waterfalls, streams, and the like. You can also install outdoor living amenities, like outdoor fire pits and fireplaces, outdoor kitchens, patios, cabanas, gazebos, porches, and many more. Or, you can go the cheaper route by adding mulches. 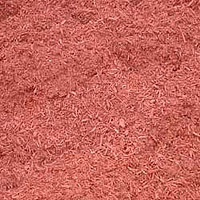 Mulch coloring and redying is a cost-effective way of adding interesting colors to your traditional mulches. 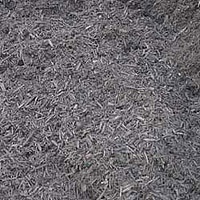 As it is, mulches will fade over time, which could prompt you to spend more to bring back their old color. With low-quality coloring agent, this process could go on over and over again, which would only mean you have to waste money and time just to achieve the old look of your mulches. But if you hire us at Four Seasons Landscape Management, we can assure you that such won't be the case, as we have experts in mulch coloring and mulch redying. Great aesthetic boost. As mentioned, colored mulches serve decorative purposes. With colorful mulches placed in specific areas of your property, your family and guests will surely be amazed at how stunning they will appear. Coupled with the hardscapes and softscapes in your property, your landscape will surely be a visual treat. Soil is nourished and plants become healthy. Mulches act as nutrient provider to the soil, while at the same time providing deterrence against soil erosion. Additionally, mulches prevent moisture loss for healthier plants and provide good ground cover so that tree and plant roots remain cool during summer. Great ground covers. Our colored mulches can match any existing ground covers that you may have. We only provide mulches that will complement or enhance the color combination of your turf, plants, or topiaries. This way, everything will appear in perfect harmony through our mulch coloring and mulch redying services. At Four Seasons Landscape Management, we can supply any quantity that you may need for your mulch coloring and redying requirements. This is made possible by our partnerships with big mulch suppliers in the State of Georgia. Likewise, we have the necessary tools and equipment such as trucks, rakes, heavy duty sprays, and coloring and redying materials so the project will be completed without delays. So waste no time –and contact us today. Our friendly staff will be happy to assist you.